I wonder if I should bring my notebook? Where did you learn to be a granny? 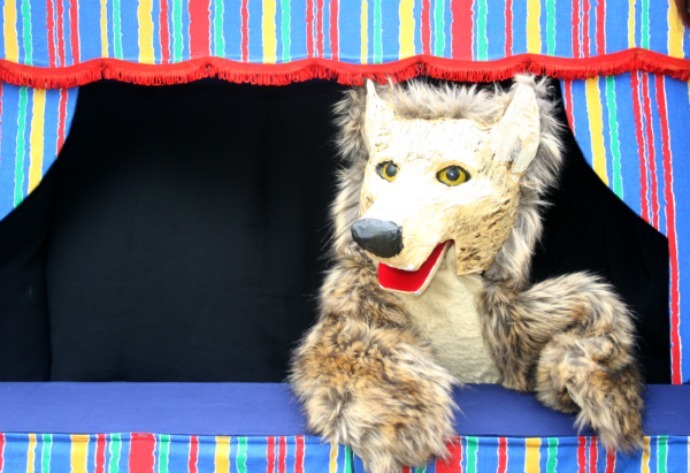 Well what can we say about Little Red Riding Hood, a story that has been told and retold over many generations but it still captures the imagination of countless audiences. Of course our story has it's own characteristic Little Gem Puppet twist to it. There are firemen, a serious dose of Granny power and Little Red Riding Hood is studying to be a scientist when she grows up. What chance does the wolf have against that lot, well he has a few tricks up his sleeve as well! Finally your chance to tell that wolf exactly what you think of him, young and old alike. After the show the puppets get to do their favorite thing - go out and meet the audience. Sometimes Little Red Riding Hood sometimes Granny makes an appearance, we can even bring out the wolf so long as he agrees to behave himself! 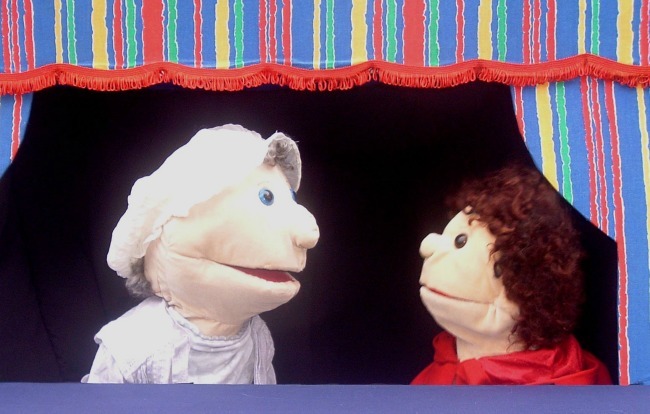 The show is performed from a portable Punch and Judy style booth so it can be used both indoor and outdoors. The audience sit on the ground in front of the booth but we might provide some chairs for a few lucky adults. I think I smell a picnic basket!